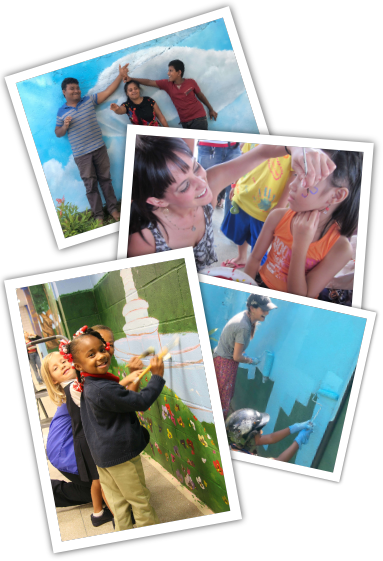 $6,800 will provide a full 40-foot donation mural in South America or Southeast Asia…The sky’s the limit! PLEASE NOTE: Big Sky Countries is a tax-exempt 501(c)(3) non-profit organization. Leftover water-based paint from house projects, paint brushes, art supplies, un-used construction paper, pens, crayons, glitter… We can use it all! Please make sure that donations are new or gently used. Donate Water-Base Paint: Did you recently test out paint colors for your home and have the left over quarts you didn’t use? We can put them to use in a future donation mural! We also need water-base Primer, so please donate any paint supplies you might have. Note: Please only donate paint that is less than 2 years old, as it does start to “turn” if stored for long periods of time. You can also choose to provide the children at a facility with a “Party”. Depending on the facility and the amount you choose to donate, this may include food/pizza/local treats (for international murals), cake, balloons and even entertainment (think clowns, musicians or perhaps something you’d like to suggest.) If you decide to Sponsor a Party for a children’s facility, then Big Sky Countries will donate Face Painting for all the children, including supplies, time and artwork – It’s a “Win-Win” for all! For further details, Click Here to Contact Us. 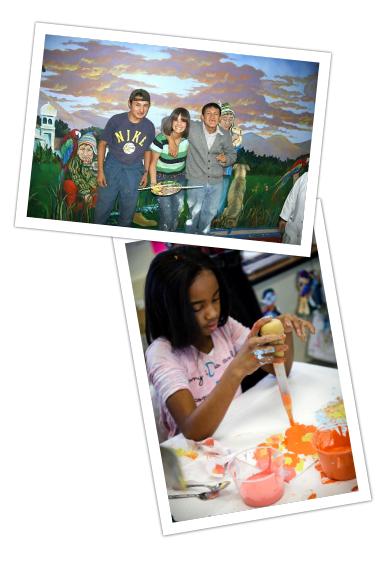 Do You Know of A Children’s Facility that Needs a Big Sky Countries Donation Mural? We are always asked, “How do you find the facilities you donate your murals to?” Word-of-mouth! 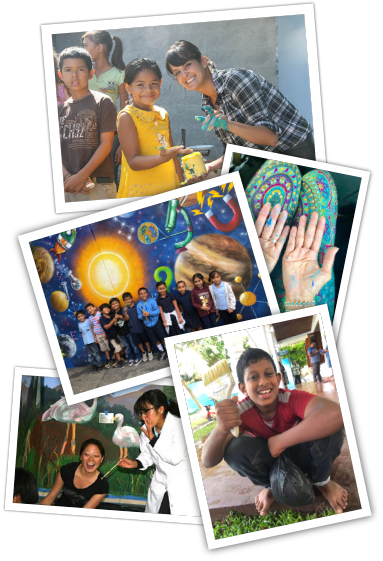 If you know of a children’s facility in need of a Big Sky donation mural, Let Us Know! We seek out children’s facilities such as elementary schools, orphanages, children’s hospitals and youth centers, especially those that have little funding and are in dire need of our support. Stay informed on the latest News and Donation Murals from Big Sky Countries by joining our Mailing List. If you would like to be added to our list, please let us know by filling out our Contact Form. We will send you a complete Press Kit about our murals, as well as other wonderful information. Word of mouth is a great way to get people involved! Please tell all your friends, family and co-workers about Big Sky Countries. Pass on our website, request a Press Kit or tell your friends about the latest Big Sky donation mural. Click Here for more information.